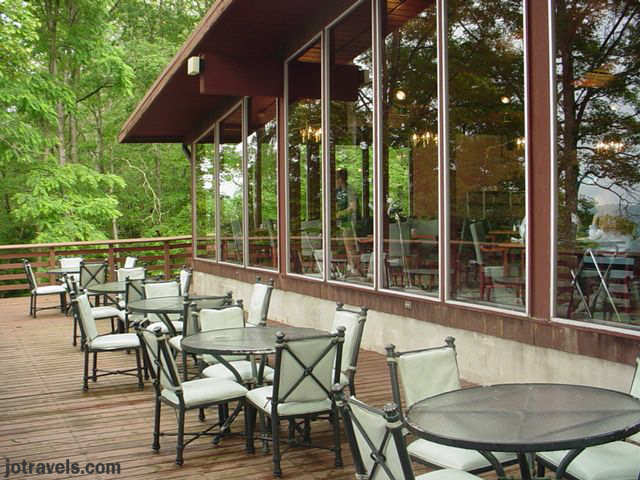 This is the outside eating area at the lodge at Breaks Park. From the dining room windows you look out over the Breaks gorge. They have a buffet there that is wonderful. Home style southern cooking. At breakfast one morning we watched an eagle soaring outside the dining room window.